A. You can find us on North Terrace, next to the City West tram stop, opposite the Lion Arts Factory. Q. Is there an online map of MOD. available? A. An online map of MOD. is available here. Maps are also available in the main foyer. Q. Is internet access available for visitors? A: Yes we have free visitor WiFi. Select MOD. Visitor WiFi and follow the prompts. Q. Is the exhibition free? A. Yes, MOD. has free entry. Q. How long will it take to view the exhibition? A. It will take up to 1 hour to explore this interactive space, however, MOD. is designed for young adults to come, hangout and be inspired, there are no time limits for visitors to enjoy this exhibition. Q. Is photography permitted in the exhibition? A. MOD. prohibits the use of professional photography without prior permission. However, you are encouraged to use or smartphone or personal camera. Tag us @modatunisa or #WAGINGPEACE. Q. Is this exhibition suitable for children? A. MOD. is a space designed for adults 15+ so some exhibits contain adult content. Our website carries descriptions of every exhibit and details if there are any ratings for specific galleries. Some galleries also carry additional safety warnings. Q. 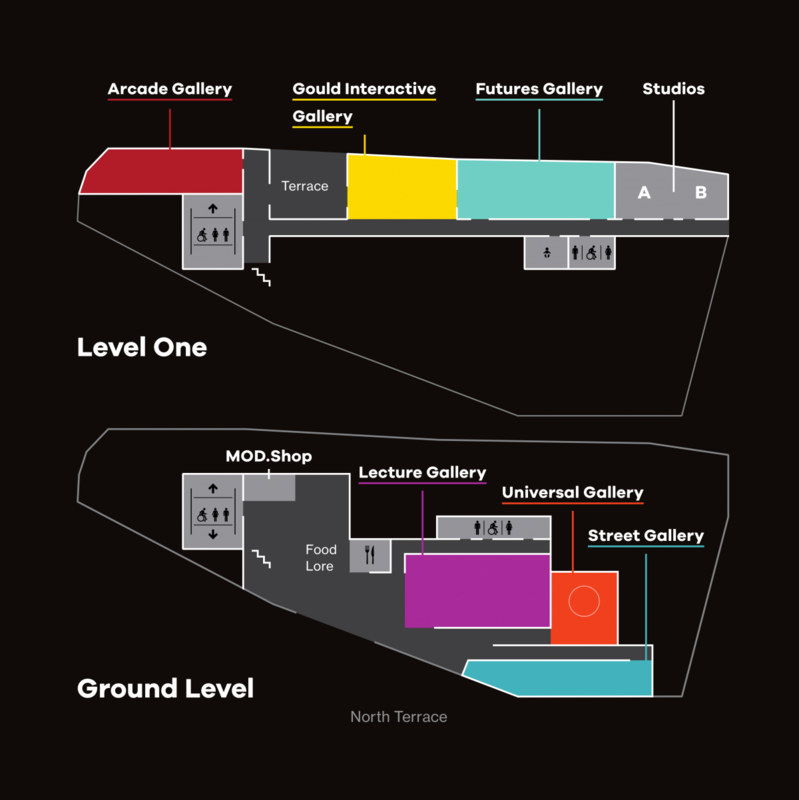 Are food and drinks permitted into the Galleries? A. Unfortunately MOD. does not permit food and drink into the galleries. Q. I think I lost or found something at MOD., what do I do? A. During opening hours please see a Moderator or Volunteer to report misplaced objects. After hours please contact MOD. Q. How do I register for upcoming events? A. Our website! Check out our events section where all events are listed and you can book directly there. Q. Does MOD. facilitate school bookings? A. School and other groups are welcome to visit. Please complete the enquiry form on our Group Bookings & MOD. Tours page to enquire about a group or school booking. Q. Does MOD. facilitate tours? A. Yes, you can find out more information and enquire about a tour at MOD. on our Group Bookings & MOD. Tours page. Q. Does MOD. have backpack or bag storage? A. MOD. does not not have storage for bags and backpacks. If you are considering bringing a large group, please leave big bags at home or school. Q. Is the exhibition accessible? A. MOD. is committed to being accessible and inclusive, providing a space that can be enjoyed by all visitors, including those with mobility issues or with a disability. Q. What form of payment does MOD. Shop accept? A. Cash and Eftpos are the primary form of payments. Q. Can I return or exchange merchandise? A. No refunds or exchanges on products unless faulty. Were there any questions you have that we did not answer? If so, please contact MOD.